America's Next Top Model will be returning with Tyra Banks as host next month. 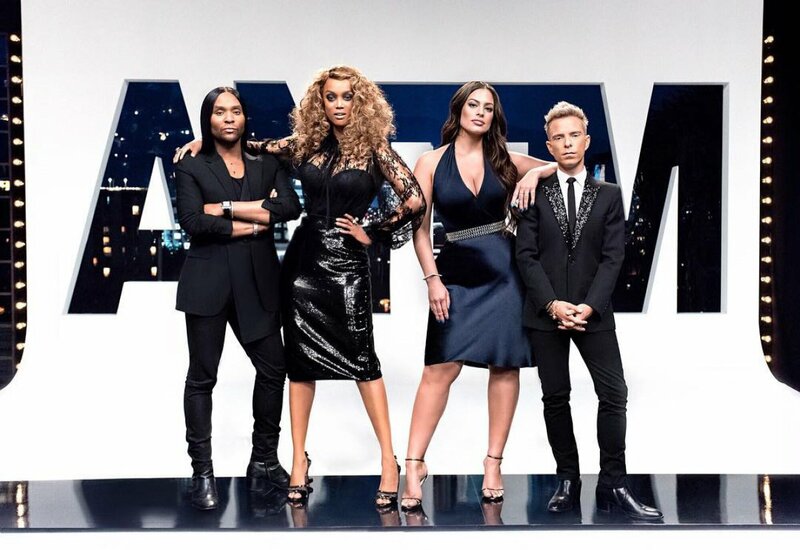 VH1 has announced the 24th season of America's Next Top Model will premiere Tuesday, January 9 at 8PM ET/PT. For the first time in franchise history, there will be no age limit. And according to the network, the series will have more "contestant diversity than ever before." Top Model's new edition will feature guest appearances by fashion photographer and former ANTM judge Nigel Barker as well as Season 3 winner and current The Real Housewives of Atlanta star Eva Marcille. Video director Julien "Director X" Lutz will also appear on the upcoming season, in addition to social-media guru Patrick Starr, choreographer Jermaine Browne, supermodel Jourdan Dunn, hip-hop artist Brandon "Maejor" Green, and more. A few stars from VH1's RuPaul's Drag Race -- James "Valentina" Leyva, Katya Zamolodchikova, and Manila Luzon -- will also grace Top Model with their presence. As previously revealed, the following celebrities will once again serve as the judges of America's Next Top Model: Supermodel and body activist Ashley Graham, Paper magazine Chief Creative Officer Drew Elliott, and celebrity stylist and image architect Law Roach. Tyra, who is replacing Rita Ora as host, announced in early April that America's Next Top Model is dropping its age limit. "There have been 23 cycles of America's Next Top Model, and every single cycle we say you have to be 27-years-old or younger," the 43-year-old supermodel said in a video message to her fans on social media. "You know what I hear all the time? 'Tyra, come on! Why have an age limit?' So you know what? I'm taking that age limit off. You want to audition for America's Next Top Model? I don't care how old you are, honey. You just need to know how to smize and be open to learning how to work the runway like a supermodel." In a subsequent post on social media, Tyra clarified that anyone over the age of 18 can audition for America's Next Top Model going forward. "Age ain't nothing but a number," she wrote in a hashtag. India Gants, 20, was crowned Top Model's winner last season. India took home the $100,000 grand prize, a one-year talent deal with VH1, a commercial feature on behalf of Rimmel London, and a fashion spread in Paper magazine. America's Next Top Model is produced by 10 by 10 Entertainment in association with The Tyra Banks Company. Tyra, Ken Mok, Dana Gabrion, Paul Buscemi and Jaimie Glasson are the executive producers.